Update now to 2.1! 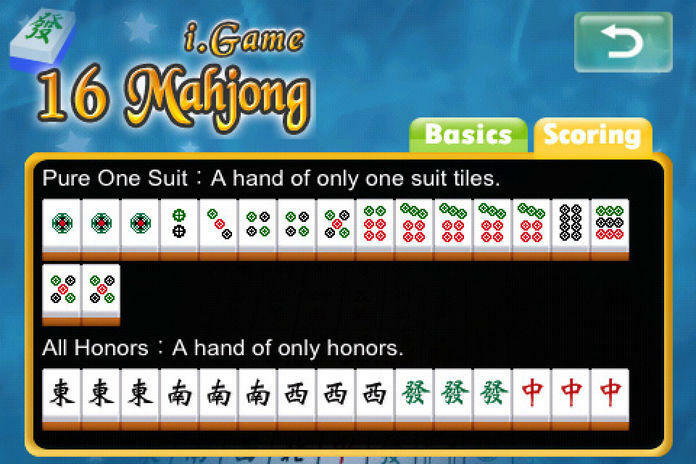 Adjusted AI logic + New Challenge mode - defeat 16 different characters and win the Mahjong Champion Award! 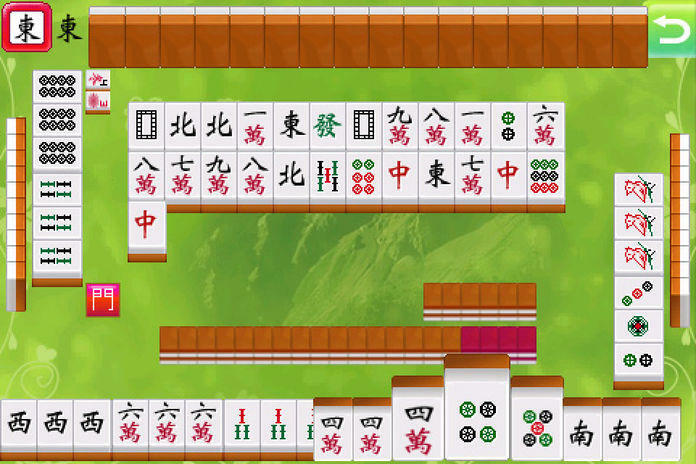 Play the traditional Taiwan 16 tiles Mahjong game exclusively designed for iPhone with dynamic BIG tiles for easier touch, flicking tiles to discard, touch to magnify and continue games functions. Accumulate your score in the Score Race mode, or play with 16 characters of different playing strategies and defeat them all to win the Champion Award. Select a photo from your album as your own character. 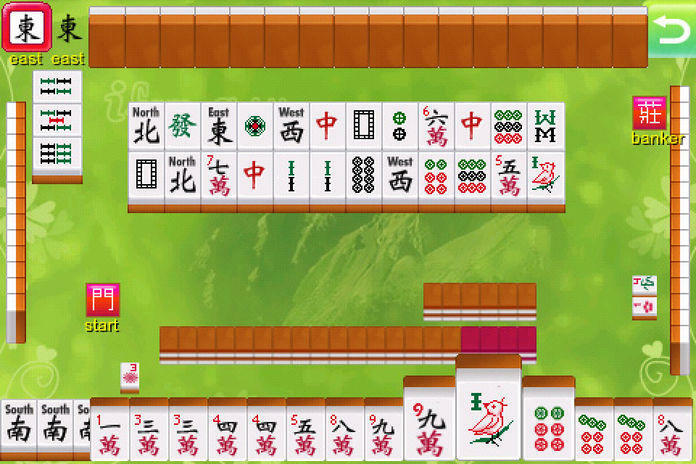 Taiwan Mahjong is played with 16 tiles and flower/seasons bonus tiles, and you can win a hand just by having 5 sets of runs or triplets and 1 pair of tiles, therefore making it easier for Mahjong beginners. 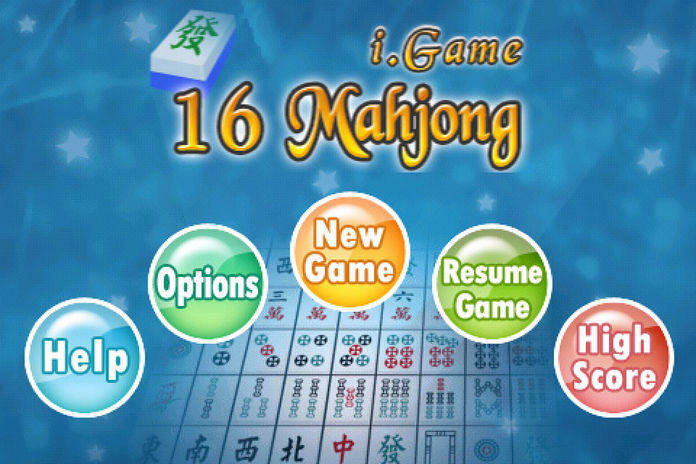 i.Game 16 Mahjong features an AI program that adjusts its levels according to your skills, and an user-friendly interface developed by i.Game multiplayer gamesite (running since 1998). 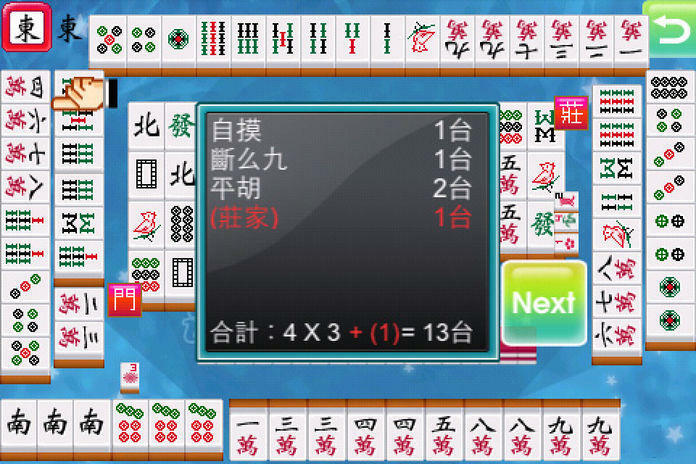 Support for English and Traditional Chinese, with a detailed help with all scoring combinations. Also added options for tile voice, and a special tile hint for non-Chinese players. 本遊戲提供 [積分賽] 模式,讓你盡情打牌創造高分,並新增 [擂台賽] 模式,你必須打敗16位不同個性與打牌策略的對手,才能贏得麻將王冠軍頭銜!遊戲中還可選擇相簿中的照片作為自己的遊戲圖像!